The Royal Devon & Exeter NHS Foundation Trust will work in partnership with North Bristol NHS Trust to provide potentially life-changing diagnosis and move towards a more personalised approach to treatment. The Exeter Genetics Laboratory is one of three designated providers of specialised endocrine tests for patients throughout England and the national centre for monogenic diabetes and hyperinsulinism testing. Our flagship rapid whole exome sequencing for patients with rare disease will be upgraded to whole genome sequencing. Matt Hancock, Health and Social Care Secretary, announced that from early 2019 whole genome sequencing will be made available to seriously ill children with a suspected genetic disorder and people with specific types of cancer. The work will build on the 100,000 Genomes Project that is sequencing the genomes of around 70,000 people (100,000 patient samples) by the end of 2018. Professor Sian Ellard, Head of the Exeter Genetics Laboratory and Director of the South West NHS Genomic Medicine Centre, said: “We look forward to working with our colleagues in Bristol to provide cutting-edge genomic testing for patients throughout the South West and beyond. Now we are able to begin a true transformation that will support more personalised medicine for patients with cancer and rare diseases in the South West and beyond. The Exeter Genetics Laboratory will continue to receive samples, perform genomic tests and dispatch DNA samples for specialist testing to the appropriate laboratory. We will issue further information about the future genomic testing arrangements as it becomes available. We are excited to announce that applications are now open for an Assistant Genetic Technologist and Administrative Assistant in our state-of-the-art facilities providing a high quality, rapid diagnostics service. These positions are full-time (37.5 hours/week) on 1-year fixed term contracts and the deadline for applications is 31st August 2018. For the Administrative Assistant role, two 20 hour per week posts may be considered. Please see the RD&E Hospital jobs website links above for full details of the posts, contact details and application information. The House of Commons Science and Technology Committee have published their report “Genomics and genome editing in the NHS” on the use of whole genome sequencing (WGS) within the NHS. It includes important recommendations for the UK government which will have significant implications for patients, clinicians, NHS genetic/genomic diagnostic services and the UK genomics industry. The report has been authored following consultations with NHS genetics services (including Professor Sian Ellard, Head of the Department of Molecular Genetics in Exeter), experts in UK genomics research and industry, patient advocacy groups and independent think tanks at several science and technology select committee hearings and information gathered from other sources, such as the Chief Medical Officer’s “Generation Genome” report (published July 2017). Continuation of current genetic/genomic diagnostic services where WGS has not yet been proven to provide a better service than currently exists, whilst continuing to gather evidence about WGS clinical efficacy and efficiency. Full details of the report can be found using the above link. Research published in the Journal of the American Society of Nephrology by the Exeter genetics group and an international group of collaborators has identified variants in the PMM2 gene as a cause of hyperinsulinism and polycystic kidney disease. All of the patients in the study were affected with hyperinsulinism, which can cause dangerously low blood sugar, and fluid filled sacks on their kidneys, called cysts, which can affect how well the kidneys function. The PMM2 gene encodes the instructions for making a protein called phosphomannomutase 2, and this new finding implicates the gene in both hyperinsulinism and polycystic kidney disease. All the affected individuals carried a heterozygous variant just outside the PMM2 gene that is essential for regulating it, and either had two copies of this variant or also had a variant within the gene that affected the protein sequence. The specific phenotype of the patients differs from individuals with two variants in PMM2 affecting the protein, and this study has increased the number of genetic causes of both hyperinsulinism and polycystic kidney disease, as well as providing new information on the regulation of PMM2. Dr Sarah Flanagan, Dr Richard Caswell and colleagues from the University of Exeter Medical School led the search to find a new genetic cause of hyperinsulinaemic hypoglycaemia in patients who also have renal cystic disease. They identified a novel variant (c.-167G>T) in the PMM2 promoter that causes an organ-specific phenotype in contrast to the multi-system glycosylation disorder that results from coding mutations. The paper was recently published in JASN. Karen was a finalist for the Healthcare Science Rising Stars Award as part of the 2017 Chief Scientific Officer Awards. The Rising Stars Award celebrates healthcare scientists in the early stages of their careers who are demonstrating, through clear vision and impactful work, how Healthcare Science can really impact care pathways and service provision and development. You can read more about the Awards here. 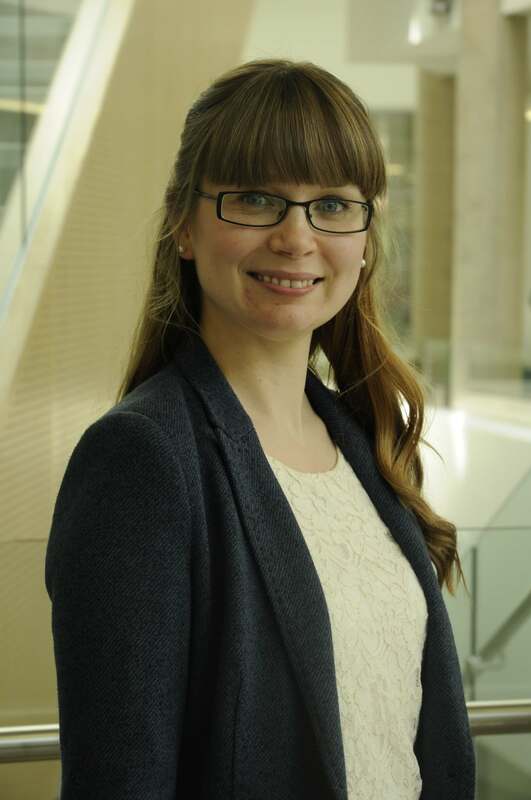 Having completed the Genetics STP (Scientist Training Programme) in 2016, Karen has already made a major contribution to developing the only available NHS inheritance-based whole exome sequencing service. This has provided much needed diagnoses for families with previously unexplained rare diseases. Diagnosis of a rare genetic disease can profoundly impact on clinical management to enable the provision of new life-altering therapeutics as well as clear reproductive options for individuals and their families. A recent neonatal diabetes publication we collaborated on with colleagues in Abu Dhabi has received the “Distinguished Clinical Research Award” from the American Association of Clinical Endocrinologists, Gulf Chapter. You can access the paper here. The radio show Personalised Medicine: Dose by Design features the work of the monogenic diabetes team form the University of Exeter Medical School and the Royal Devon and Exeter NHS Foundation Trust. Follow this link for the full story. Our trainee Scientists team up with others in the South West to inspire young minds at the Big Bang Science Fair. You can read about it here on the National School of Healthcare Science’s website. Families affected by rare conditions or cancer across the South West are having their genomes sequenced as part of a national bid to shed new light on the genetic causes of disease. Since launching in December 2014, the South West NHS Genomics Medicine Centre (SWGMC) has enrolled 372 patients with a rare disease, or cancer, for genome sequencing to understand more about their condition. Nearly 4000 samples will be provided by hospitals across the South West. On 28 June, patients and their families joined with healthcare professionals from across the region to celebrate the project. The South West NHS Genomics Medicine Centre is a partnership between 7 NHS hospitals in Devon, Cornwall and Somerset, supported by the South West Academic Health Science Network. The 100,000 Genomes Project was announced by the Prime Minister in 2012 to transform diagnosis and treatment for patients with cancer and rare diseases in the fast-emerging field of genomic medicine. Opening the day, Professor Sue Hill, Chief Scientific Officer at NHS England, described the aims of the national project and how it will shape future healthcare. 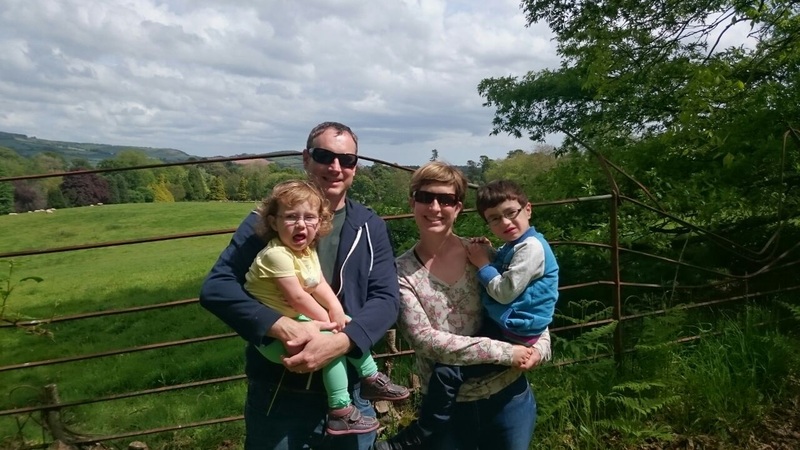 Professor Sian Ellard, Director of the South West NHS Genomic Medicine Centre and Professor of Genomic Medicine at the University of Exeter Medical School, reported local progress before two families talked about their experience of the project. The role of the SWGMC is to enroll patients to the project and to communicate the genome sequencing results back to patients. One of those patients is Aidan Scholey. Seven-year-old Aidan is the first member of the Scholey family to show signs of a rare genetic condition, and his mother Maria hopes the 100,000 Genomes Project will help provide some answers. Aidan’s condition is so rare that it has not yet been diagnosed with a named condition. His parents were not worried when he was born small, but over time Aidan’s lack of growth gave clues that his development was showing signs of a disease. Still small for his age, Aidan also has a retinal dystrophy that impairs his vision. The family has provided blood samples to the South West NHS Genomics Centre. It is hoped that the genome sequencing will provide a diagnosis for Aidan and others like him – but the family is aware that it may not find the answer. Read the tweet here acknowledging the RD&E’s Monogenic Diabetes Team’s recent success at the BMJ awards. Yesterday the Guardian published an account of some of the developments in personalised genomic medicine showcasing some quotes from our own Professor Sian Ellard. The Monogenic Diabetes Team at the Royal Devon and Exeter NHS Foundation Trust took home the BMJ ‘Diabetes Team of the Year’ award from the ceremony hosted on the 5th May. Working collaboratively with the University of Exeter Medical School has resulted in what the judges’ remarked as a “rapid translation of world-leading research into clinical practice” for better monogenic diabetes care. The transformational work on monogenic diabetes has helped people across the country and around the world by ensuring monogenic diabetes can be correctly identified, diagnosed and managed. For more information about the winners see the BMJ Awards Brochure or visit http://thebmjawards.bmj.com/home. For more information about monogenic diabetes see http://www.diabetesgenes.org/. The next installment of the free MOOC Genomic Medicine: Transforming Patient Care in Diabetes, produced by the University of Exeter, begins on the 25th April so don’t forget to sign up! It’s Healthcare Science week from 11th -20th March and here at the RD&E, staff from Molecular Genetics and the 100,000 Genomes project will be on hand in the Oasis staff restaurant from 12-2pm Monday 14th March to Thursday 17th March to answer any questions you might have about the 100,000 Genomes project. The project has already sequenced 7306 whole genomes and the work of the South West Genomic Medicine Centre is progressing and gathering pace with cancer participants now being recruited. There is lots of information, news and updates available at http://www.genomicsengland.co.uk/the-100000-genomes-project/ and http://swgmc.org/. It will also be a chance to find out more about the exciting new opportunity coming to the University of Exeter in September to study the Health Education England-funded MSc in Genomic Medicine. This degree will be available to study part-time from September 2016 or you can choose modules of particular interest that will contribute to your CPPD, a PGDip or PGCert. It is currently available at several universities across the country. More information is also available at http://www.exeter.ac.uk/postgraduate/taught/medicine/genomicmedicinemsc/. See what comment Professor Sue Hill had about this and the 4 Ps of personalised medicine that we will be delivering here. REGISTER NOW FOR OUR MOOC STARTING ON FEBRUARY 22ND! The start date is getting closer so don’t forget to sign up for our free MOOC! See below for details and follow the link in the post header to participate! The University of Exeter diabetes research teams and the Molecular Genetics team have collaborated to recently develop a MOOC (Massively-Open Online Course) with FutureLearn.com. This free online course introduces the topic of genomics and illustrates the clinical application of current knowledge in genomics, with particular focus on monogenic diabetes. 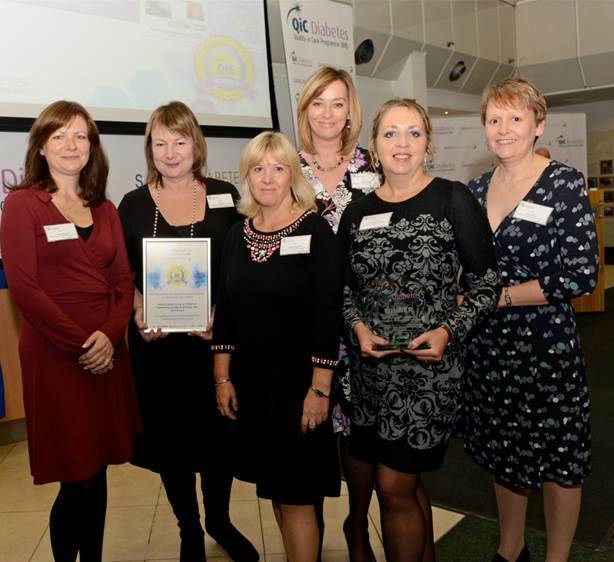 Those involved with the The Genetic Diabetes Nurse Project were the well deserved winners of the Quality in Care in Diabetes: Best innovation and integrated care model 2015! Click here for more information about the award. 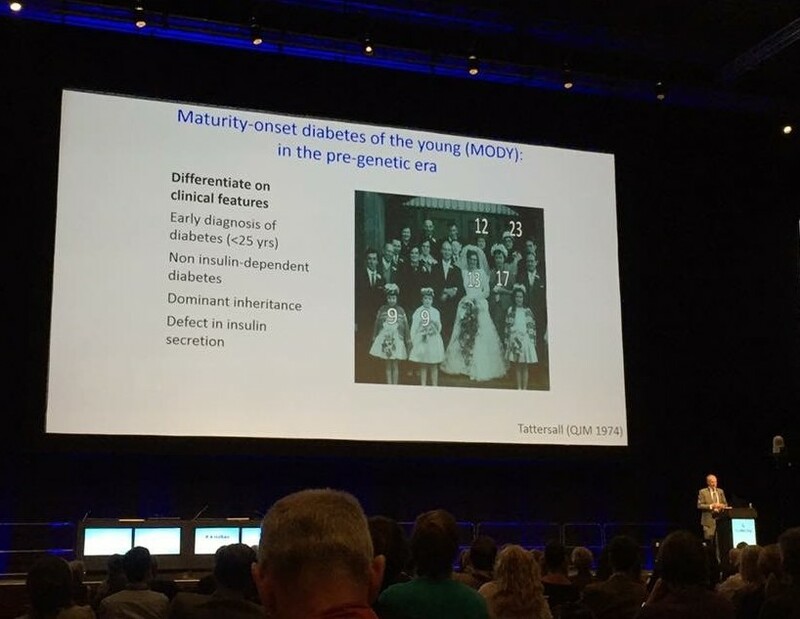 At EASD (European Association for the Study of Diabetes): Professor Andrew Hattersley wins Albert Renold Prize for outstanding achievements in research on the islets of Langerhans. Click here to view details of the comprehensive NGS panel testing options we provide for endocrine disorders. An example of the potential benefits of these tests has recently been demonstrated by De Franco et al., (2015) who show how early and comprehensive genomic testing can improve clinical care for neonatal diabetes patients. 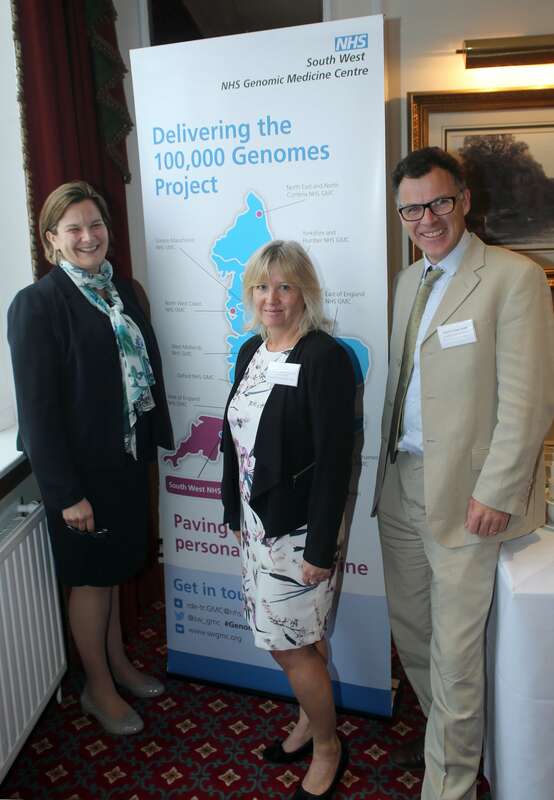 Click here to read all about the first family in the South West to be recruited into the 100,000 genomes project at the RD&E. The report, authored by Professor Sian Ellard from the University of Exeter Medical School and Professor Dame Janet Thornton of the European Bioinformatics Institute, sets out 10 recommendations around the training provision and resourcing of bioinformaticians across all the clinical professions of the healthcare workforce. It also provides a number of examples showing how the implementation of clinical bioinformatic techniques have provided direct patient benefit for people with cancer and rare disease. Follow this link for the whole report! A leading light in genetic diabetes research has been awarded a prestigious national award for outstanding scientists. Professor Ellard co-leads Exeter’s world-leading genetic diabetes team, alongside Professor Andrew Hattersley. Among their achievements, they discovered that around half of patients with neonatal diabetes – which is diagnosed before the age of six months – can be spared a lifetime of injecting themselves with insulin up to five times a day. Instead they simply take tablets which results in more effective glucose control treatment. The team identified suitable patients for this treatment by making a rapid genetic diagnosis to find those whose diabetes is caused by changes in a potassium channel that regulates insulin secretion. This world-leading research uses state-of-the-art genomic technology to find the genetic changes that cause the diabetes. A decade on, the team’s work has resulted in a change in international guidelines. Immediate genetic testing is now the norm for babies with diabetes. Diagnosis from Exeter Genetics Diagnostic Service contributes to the care of an 18 month year old child and hits the headline’s in Ireland! A ground-breaking genomic medicine project, which aims to establish England as a world leader in the fight against cancer and rare disease, will be led in the South West by the Royal Devon & Exeter NHS Foundation Trust (RD&E) working with other health trusts and universities. The RD&E has been selected today by NHS England as one of 11 centres in England that will jointly lead its 100,000 Genomes Project. The project involves collecting and decoding 100,000 human genomes – complete sets of people’s genes – that will enable scientists and doctors to understand more about specific conditions. The South West Peninsula NHS Genomics Medicine Centre is anticipated to contribute 4,200 genomes from people living in Devon, Cornwall and Somerset. The bid was created with the support of the Exeter-based South West Academic Health Science Network (SW AHSN) which brings together all the clinical providers, commissioners and two universities in Devon, Cornwall and Somerset to help improve and develop the NHS. The three-year project was launched by the Prime Minister earlier this year. The 11 designated Genomic Medicine Centres (GMCs) in this wave one selection process are based across the country, covering areas including Greater Manchester, Merseyside, Oxford, Birmingham and the West Midlands, Southampton, Cambridge and the East of England, Exeter and the South West Peninsula, and the North East. Over the lifetime of the project NHS England’s ambition is to secure over 100 participating NHS trusts. A further wave of GMCs will be procured to ensure that there is comprehensive coverage across the NHS in England. It is anticipated that around 75,000 people from across England will be involved, which will include some patients with life threatening and debilitating disease. Recruitment to the project will begin from 2nd February 2015.